If one is a fan of French cinema (c'est moi) and gaga over French movie stars (moi aussi), then the closing weekend of the Montreal World Film Festival is a gift from the cinema gods. 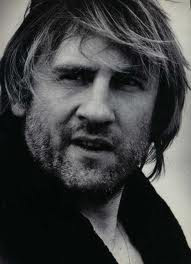 Jetting into town for a series of talks and film presentations are actors Gerard Depardieu and Nathalie Baye, two formidable presences on the Gallic screen. Nathalie Baye will receive a special Career Achievement Award at the screening later today of one of her signature performances in UNE LIAISON PORNOGRAPHIQUE (1999) by Frédéric Fonteyne. The Festival has been showing a slew of Baye films including such gems as LA BALANCE (Bob Swaim, 1982), NOTRE HISTOIRE (Bertrand Blier, 1984) and LE PETIT LIEUTENANT (Xavier Beauvois, 2005). Gerard Depardieu will deliver a rare "master class" on the art of acting and his four decades of work on the big screen. Two of his great performances will also be showcased with free, outdoor screenings of THE RETURN OF MARTIN GUERRE (Daniel Vigne, 1982) and CYRANO DE BERGERAC (Jean-Paul Rappeneau, 1990).